A diode pumped, Q-switched Nd:YAG zigzag slab laser is developed using passive conduction cooling. Flat-flat and unstable resonators are adopted in this experiment. The 150-mJ multi-mode and 100-mJ single-mode laser outputs with pulse width of 10 ns are achieved, corresponding to optical efficiencies of 19% and 13%, respectively. The experimental result demonstrates that the laser has the property of compact structure, high efficiency, reliability, and high beam quality. The design of laser has a potential application in space environment. OCIS codes: 140.3580, 140.3480, 140.3540. The zigzag slab pump geometry for solid state laser was first proposed by Martin et al. in 1972. The advantage of this configuration is the combination of two ideas: the elimination of stress-induced birefringence by virtue of the rectangular geometry and the elimination of thermal and stress-induced focusing effects by optical propagation along the zigzag path. Therefore, the pumping geometry is very suitable for scaling high average power or high repetition rate and high pulse energy laser output with high beam quality. For the space-based laser, conductive cooling is the most compatible method for thermal removing. Compared with liquid cooling, conductive cooling has many advantages such as simplified construction, protecting the total internal reflection (TIR) facets, reducing vibration, and saving energy. Slab geometry has a wider field for conductive cooling than rod crystal. 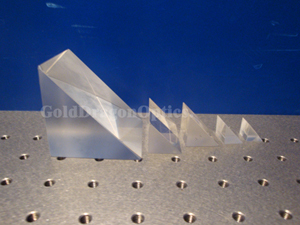 Conductively cooled Q-switched zigzag slab laser is strongly recommended to be used in spaceborne platform. Several laser systems have been implemented in space-based lidar systems, such as Clementine (a lunar altimeter), MOLA2 (Mars Orbiter Laser Altimeter), NEAR (Near Earth Asteroid Rendezvous), GLAS (Geoscience Laser Altimeter System)[5?7], and MLA (Mercury Laser Altimeter) . Slab geometry solid state laser has been reported in domestic[9?11], the slabs of which are all liquid cooled. For the potential application of a spaceborne lidar, it has great motivation to develop homemade conductively cooled all-solid-state zigzag slab lasers. In this letter, the design and development of such a laser system are presented. The experimental setup of the pump geometry and cavity configuration is shown in Fig. 1. Zigzag Nd:YAG slab cut with Brewster angle has a size of 5 × 7 × 78.8 (mm) with 10 bounces. 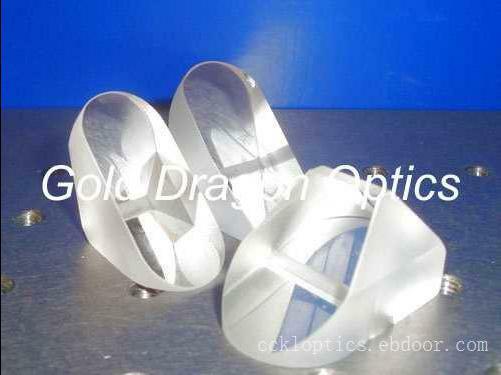 It is one-side-pumped with the surface coated with an anti-reflection (AR) dielectric at 808 nm. The cooling surface has a 2.5-μm-thick SiO2 film and high-reflection (HR) coatings at 808 nm for high pumping efficiency and reducing the loss of TIR. The zigzag slab is conductively bonded on a Wu/Cu heat sink with a close thermal expansion coefficient by a thermal conductive adhesive. The Wu/Cu heat sink is connected to a bridge configuration base for thermal removing, similar to that in Ref. . The passive conductively cooled laser diode stack with 60 bars is used to pump slab from the bottom. The fast axis of diode laser stack is parallel to the length of the slab. Each bar is implemented at typical pulse energy of 12 mJ with a pulse width of 200 μs. The diode laser stack is collimated by a plano-convex cylinder lens of ZF6 glass with the refractive index of 1.76, and it keeps the uniform spatial distribution of the pump power along the width of the slab. The non-sequence ray tracing optical layout of the pumping system is shown in Fig. 2. During the test of laser, a flat-flat oscillator is demonstrated with the cavity length of 55 cm. The Q switch is dried KD?P. Five thin heat pipes are connected to the heat sink base of diode laser stacks. The waste heat is removed by a liquid-cooled panel through the cold side of heat pipes imitating the space radiant panel. where f is the focus of the auxiliary lens, L is the length of the laser media and n is the refractive index of Nd:YAG. From the above experimental setup, fT versus the pump power is plotted in Fig. 3, which shows the thermal lens perpendicular to the zigzag plane. 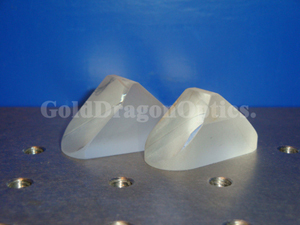 For the thermal lens in the zigzag plane, fT is greater than 10 m, representing a negative thermal lensing effect. To evaluate the performance of this conductively cooled Q-switched laser, the output energy with the output coupler’s transmission T of 30%, 50%, 67%, and 85% is tested. Figure 4 is the laser output power versus the pump power. The corresponding optical slope efficiencies are 27.3%, 36.9%, 37.8%, and 39.8%, and optical-optical efficiencies are 21%, 25.2%, 23.4%, and 22.85% under the pump power of 16.8 W, respectively. 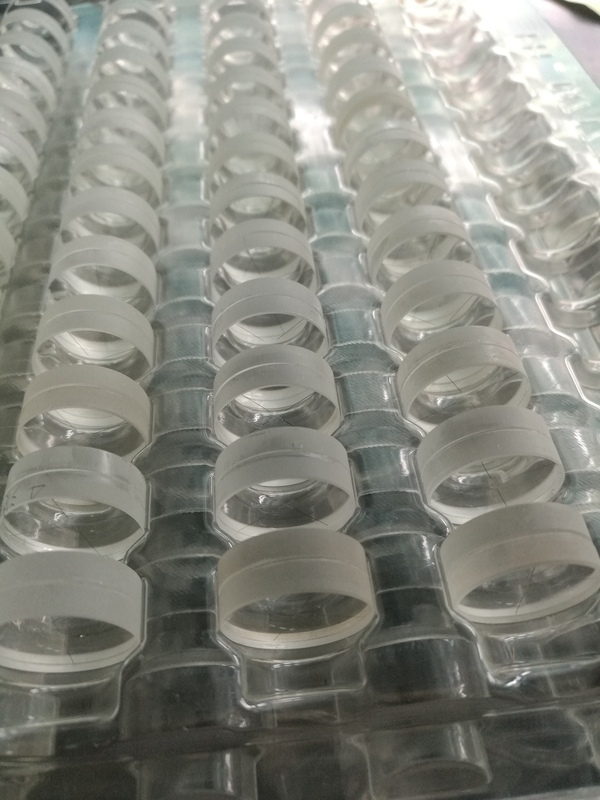 In order to balance the Q-switched pulse energy and beam quality, the distance between the cylindrical lens and slab crystal is optimized to get better pumping uniformity. Figure 5 shows the optimized laser pulse energy versus diode pump power in free-running and the Q-switching regimes at 20-Hz repetition rate with the output coupler of 85% transmission. The output energy is up to 150 mJ at 16-W averaging pumping power and the slope efficiency is 36%. The pulse width is measured by a fast photodiode and the temporal pulse shape is shown in Fig. 6. The pulse width is about 10 ns (full-width at half-maximum, FWHM), corresponding to a peak power of 10 MW. The beam quality is measured using the beam quality factor instrument Spiricon M2 -200 beam propagation analyzer. Though no significant thermal effect in both directions of zigzag slab at repetition rate of 20 Hz, the beam quality is not so good in the flat-flat cavity. When an aperture with a diameter of 3 mm is inserted in the cavity to prevent the high-order modes oscillating, M2 x (perpendicular to the zigzag plane) and M2 y (in the zigzag plane) are 1.82 and 1.88, respectively, while the output energy is reduced by 50%. In order to improve the beam quality without sacrificing the pulse energy too much, an unstable cavity with Gaussian reflectivity mirror coupler is explored in this experiment. The cavity length is 40 cm and the radii of curvature of the variable-reflectivity output coupler and the rear mirror are ?1.5 m and 2 m, respectively. The magnification of unstable cavity is 1.30 and the variable-reflectivity output coupler has a peak reflectivity of 0.3 and a spot size (half-width at 1/e2 of the intensity field) of 2 mm. The spatial distribution of laser is shown in Fig. 7 with the output energy larger than 100 mJ at repetition rate of 20 Hz. M2 x and M2 y in the unstable resonator are 1.36 and 1.56, respectively. Results shows that the parameters used in this unstable cavity can meet the requirement. 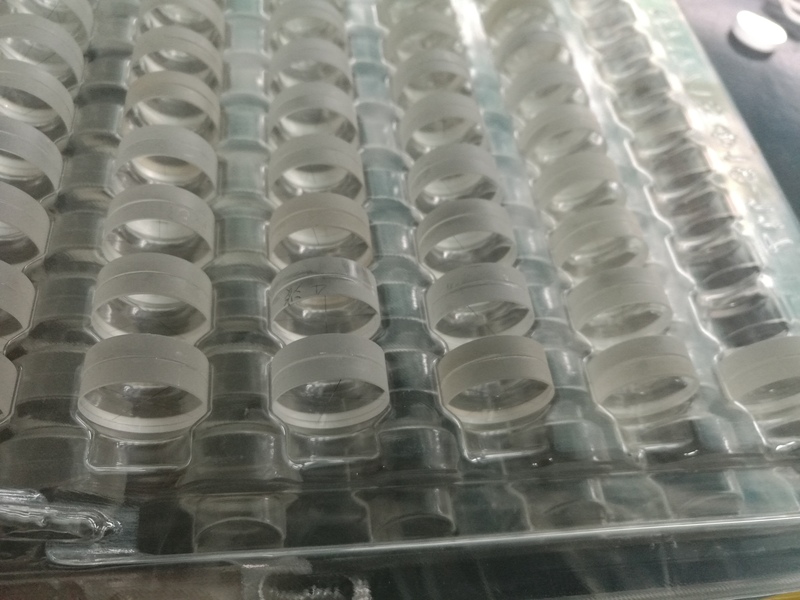 The laser can be implemented continually and the pumping head has no larger temperature gradient between the diode laser stack and cooling panel. It is shown that the pumping head has good conductive cooling performance. The whole laser system including amplifiers will be developed in the near future. X. Ma’s e-mail address is xiuhua ma@163.com.